The super-scanner is a CE passed handheld security body scanner that is designed to meet the exact requirements of the security industry. Typical uses will include body search for offensive weapons in crowd control, airport and border security, checking parcels and letters for metal objects and anywhere that hidden metal needs to be detected. 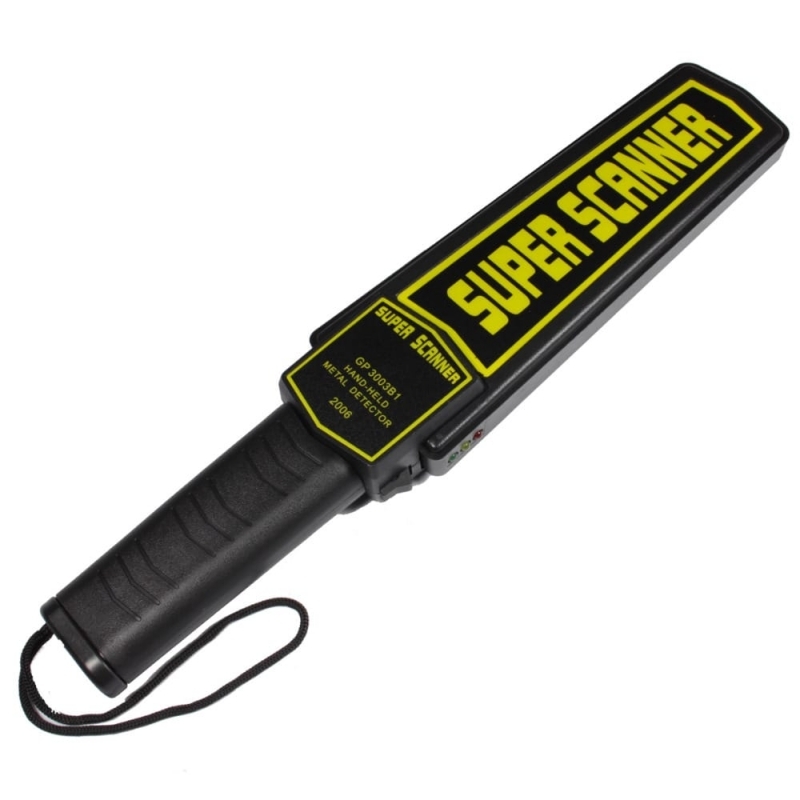 Super-scanner metal detector operates on one 9-volt alkaline or rechargeable battery. Its made from rugged ABS formed plastic its reinforced coil compartment has a pre set sensitivitly level that does not need adjusting and with its 10 inch scanning surface its quick and easy to perform a full thorough body scan. A push button can momentarily prevent detection of surround metal objects.